Lightning McQueen Found! Now What? 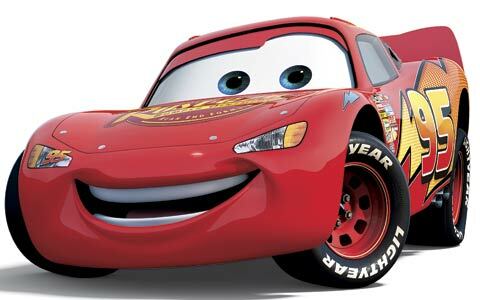 Did I tell you that The Diamond’s lost Lightning McQueen has been recovered? About a week after I wrote about the grief my son felt upon losing Lightning despite my I-told-you-so predictions, I went to dinner with a bunch of moms from The Diamond’s class. As we were getting up to leave, Rebecca reached into her purse and pulled out the famous red race car. “I just found it today,” she said. Since that night, about three weeks ago, the car has been wallowing in the grit at the bottom of my purse. Poor Lightning. First he was lost; now he’s a victim of my indecision. What should I do with him? Back when The Diamond lost Lightning, I wrote that I wouldn’t buy him a new one. But this is the original. I don’t know whether to give it back, give it away, hold it for ransom or hide it in the back of a closet to be rediscovered when he’s packing for college. Truth is, he hasn’t even asked for it. I know I’m tempting fate by leaving it in my purse, just begging The Diamond to find it. But I don’t feel quite right pretending it’s still missing. Is there a special way to give it back him so that he’ll really understand and appreciate the good fortune of getting it back while LEARNING. THE. IMPORTANT. LIFE. LESSON. of taking responsibility for his stuff? Or am I just taking this all WAY. TOO. SERIOUSLY.? hmmm, this is an interesting situation. Like you, I refuse to buy replacements when the kids lose or break something I’d told them to be careful with. Its hard to see them sad, but I think its the only way for them to learn how to take care of their things. A few times my husband has been able to fix toys one of them has broken and it seems to negate the lesson. I think it “responsibility” has been an issue you’ve been struggling with for awhile, I would not give him the toy back. If, however, you feel this was an isolated incident or that the trauma of the loss will stick w/him even after he’s reunited w/his toy, I’d return it w/a strict reminder that he’s lucky someone found it and that you will not search for or replace it should it become lost again. I’ll be interested to see what you do and how it works. And I got the old one in the process. You can never have too many knives! If he hasn’t asked for it, he probably has moved on, so maybe the big responsibility message wouldn’t get through anyway. Again, this is only based on my personal experience — I am by no means an expert! Maybe a bit too seriously. Unless you have plans for the toy, I say give it back. Sometimes life is just good or lucky that way. So much that is lost isn’t recoverable. Don’t we all deserve a little of the joy you get when you find something? How did you feel when you first saw the missing Lightning? And, if you are looking for a lesson, you could always turn the focus to the parent/child that found and returned the item. oh, what a universal dilemma for parents. What did you decide? I love these early learning opportunities or teachable moments – when the drama may be high, the stakes are not, and the opportunity for crystalized learning is ripe for the picking! !